In 1996 Simon Heather brought together a group of sound healers to form the UK Sound Healers Association. One of the objectives of the Sound Healers Association was the establishment of a college of sound healing in the UK. The UK Sound Healers Association provides a free register of sound healers and sound therapists in the UK. In 1998 Simon began teaching a Sound Healing Practitioner Training course for healers and therapists. In 2000 Simon was invited to take this training course to Canada. Simon spent two years training sound healers and sound healing teachers in Canada. Simon has taught sound healing courses in Australia (1999, 2003, 2004), Ireland (2004), New Zealand (2003), Russia (2006, 2007), South Africa (1994, 1995, 1996) and the USA (1996, 1998, 2002). In 2005 the Sound Healing Practitioner Training course was expanded to provide a more in depth training. More tutors joined the College and a new website was launched. The College of Sound Healing now offers a wide range of workshops run by some of the UK's leading teachers of sound healing. 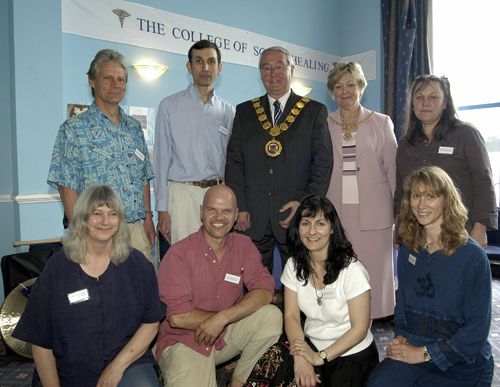 In 2011 the College helped to set up the Therapeutic Sound Association (originally called the Sound Therapy Association). The TSA is a professional, membership-based association for sound healers/therapists in the UK. The main objective of the TSA is to offer sound healers/therapists a set of clearly defined professional guidelines that they agree to adhere to in therapeutic practice, thus enabling the public to have greater confidence in our competence to practice responsibly. The TSA Professional Standards have been jointly drafted and agreed by the British Academy of Sound Therapy, the College of Sound Healing and the UK School for Inner Sound. Each year the College holds a conference for its members. 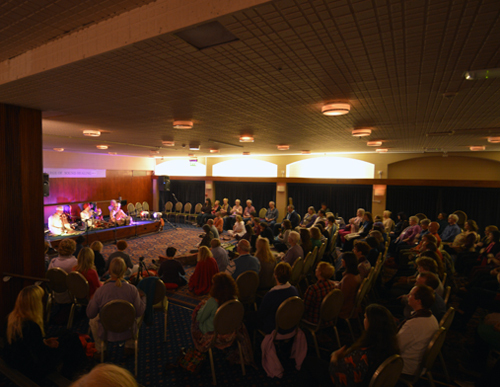 We invite leading speakers in the field of sound healing to offer talks and workshops. The conference is fully residential with three meals a day and two nights accommodation. Members can choose from over ten different sound healing workshops. We also have a sound healing concert in the evening and a market area. The conference is open to non-members. For more details please visit the College Conference page.